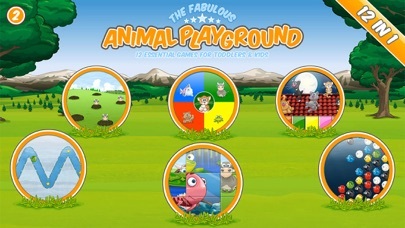 Several months ago, my clan had the good fortune of reviewing an app called Playground HD. 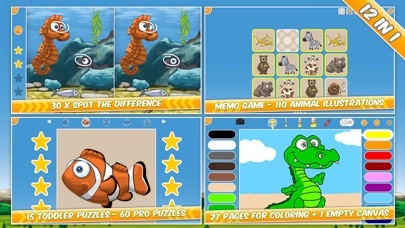 This app combined several popular kid-friendly games in a single app, to really solid results. Now the latest version came to us again (the kiddos were happy about this) and there was even more to love. 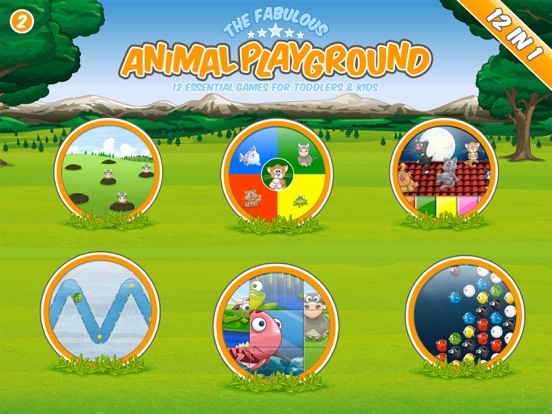 In the latest version of Playground HD, a few new games are the obvious stars. 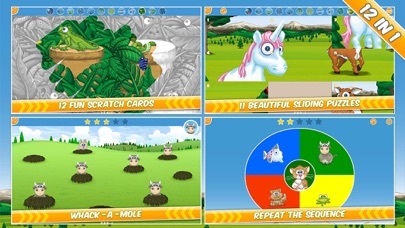 There’s game called Collect, where little ones practice their motor skills while collecting stars in a game that gets a bit harder every time you move ahead. My only comment on Collect is that it starts out a bit too slowly, even for the little kids. Maybe my set is just too iPad savvy. But it got better as it went on, and definitely had some potential. 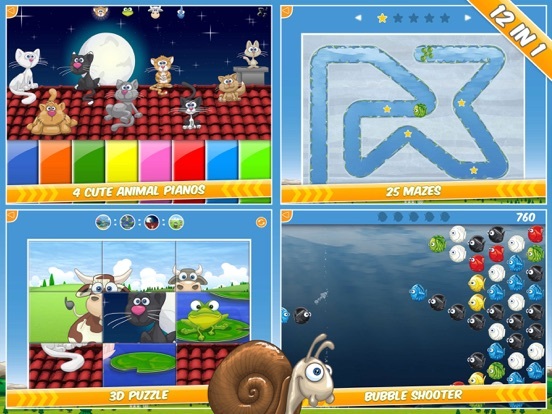 The other new games include one called Roll, which uses a simple touch to reveal a picture, and Colors, a bubble burst style game that calls for a bit more forethought than the other simple titles in the mix. It’s a really cool update, and the new games work very well. 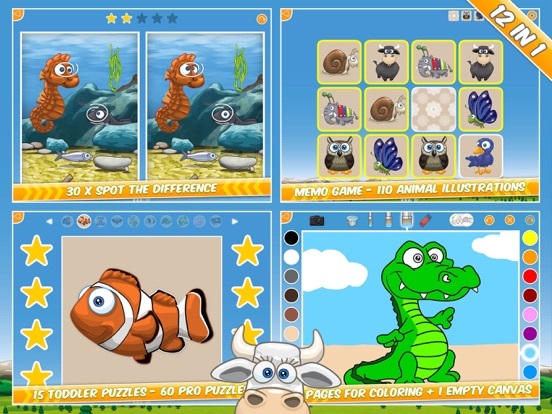 Thankfully, a lot of the great features we loved about the old version of Playground HD are still there. 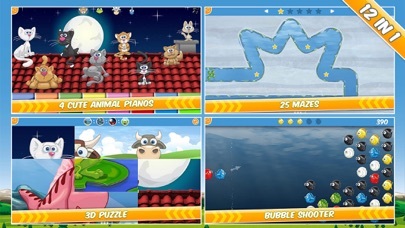 The variety of games is there, the cute animal characters are still featured throughout, and the app still supports so many different languages seamlessly that it’s hard not to be impressed. One of my only concerns about the app last time was its price tag. And that hasn’t changed either. 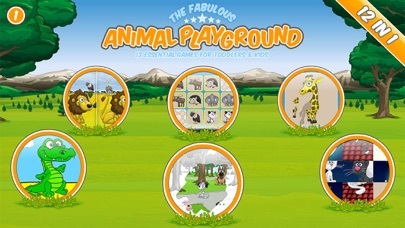 It’s still $3.99 to download the full HD version of Playground, but there is a lite version your family can check out for free if you’re so inclined. 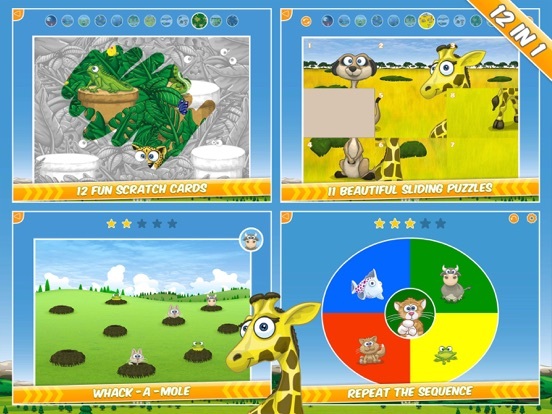 For a wide variety of quality games your kids will like, it’s hard to beat Playground HD. 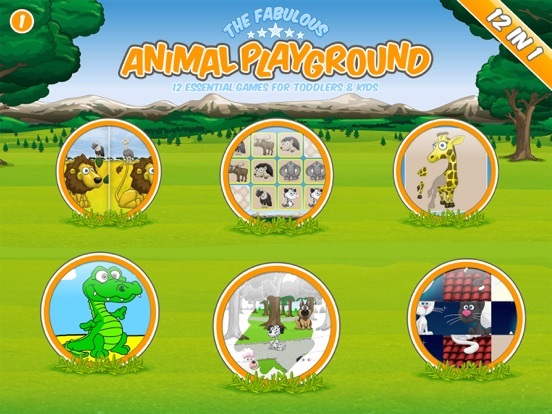 Playground HD for iPad – a fantastic games collection with 12 different games for kids.